Can I automate my devices with IFTTT + OhmConnect? OhmConnect works IFTTT (If This Then That), a free platform that helps you do more with all your apps and devices. 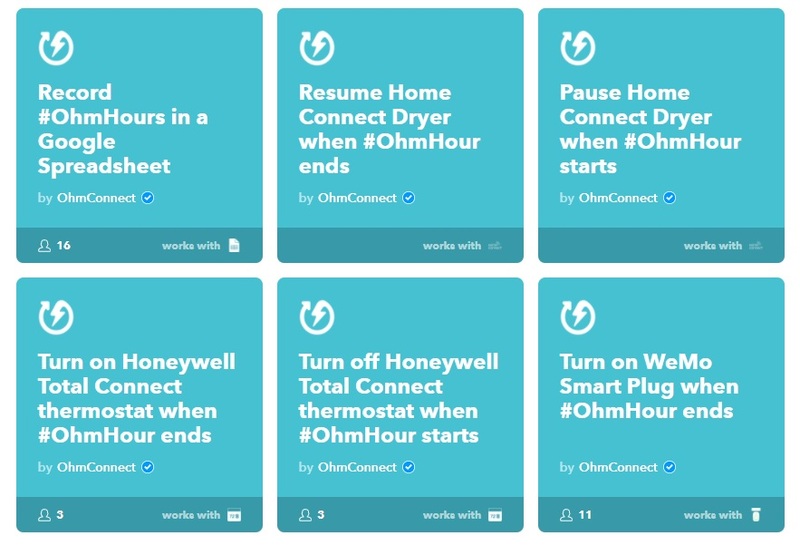 OhmConnect recently launched on IFTTT (If This Then That), a free platform that helps you do more with all your apps and devices. And more! Check them out, or go ahead and create your own applets here! We also would love for you to join our community’s IFTTT discussion and share your awesome applets for #OhmHours!